Dwayne met and married Mary Dicke on May 11, 1991, at St. Paul’s in Ogallala. They enjoyed traveling, especially to Culligan Conventions. In 2007 they began wintering in Arizona, which they thoroughly enjoyed. 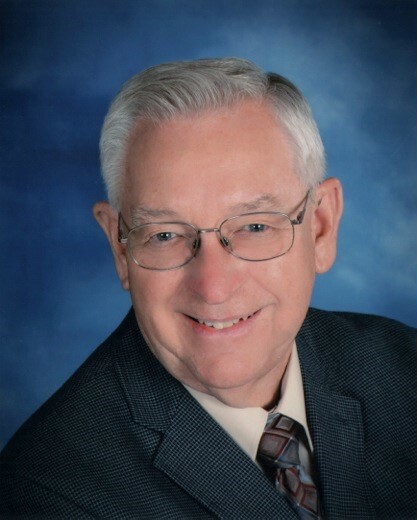 Left to mourn his loss, but Heaven’s gain, are his wife, Mary D. Orth of rural Brule; his three sons, David Orth of Julesburg, CO, Paul Orth of Ogallala, NE, and Dennis (Heather) Orth of rural Brule; his step-sons Alan Dicke, Jim (Jan) Dicke, Rich (Tracy) Dicke and step-daughter Lori (Randy) Haskett, all of Colorado; two brothers, Robert (Ruth) Orth of Diller, NE and Lloyd (Linda) Orth of Lincoln, NE; grandchildren Evan , Rachel, A.J., and Isaac Orth of rural Brule along with step-grandchildren Austin, Avery, Aidan, Makayla, and Ryan Dicke, Lindsey and Tyler Haskett, two great-grandchildren, Remington Dicke and Kairi Dicke, all of Colorado, and many nieces, nephews, and cousins.